A dramatic rescue near Windsor after a horse got its leg trapped in a wooden bridge. The small brindle terrier called Max was rescued by the Coastguard and lifeboat crews on Saturday morning in a two-hour rescue mission. A Wightlink member of staff dived into the freezing water off Portsmouth Harbour to rescue a man that was drowning. He clung to a buoy off the coast of Sussex - for several hours before being rescued by lifeguards. Tonight, the sole survivor of a fishing boat tragedy has been speaking about the terrible events that led to the death of his three friends. 45 year old Elvis Cojocariu says their boat sank so quickly there was no time to put on lifejackets. Richard spoke to survivor Elvis Cojocariu. One person is missing and two have been taken to hospital with life-threatening injuries after getting into difficulty along the Sussex coast. 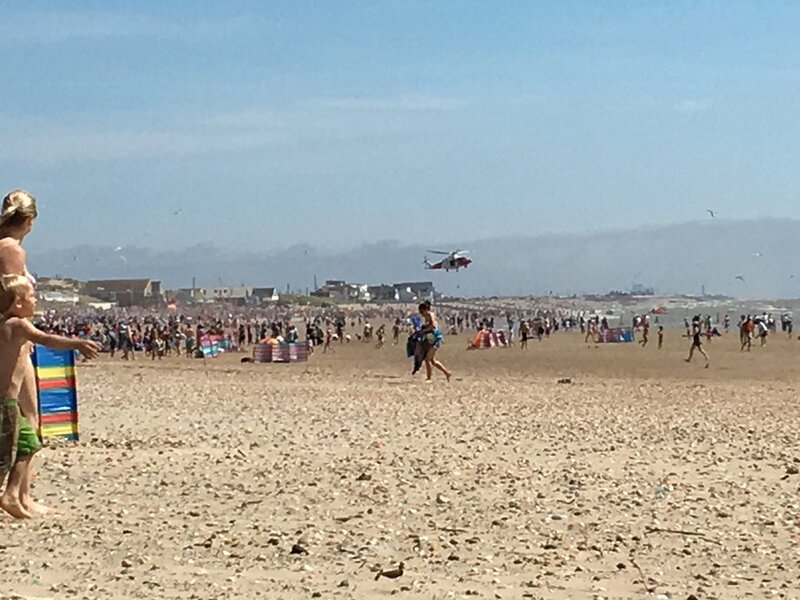 Coastguard rescue teams, lifeboat crews and the police were called to Camber Sands following reports of people in distress in the water. Two people have been rescued, lifeguards are searching for a third. 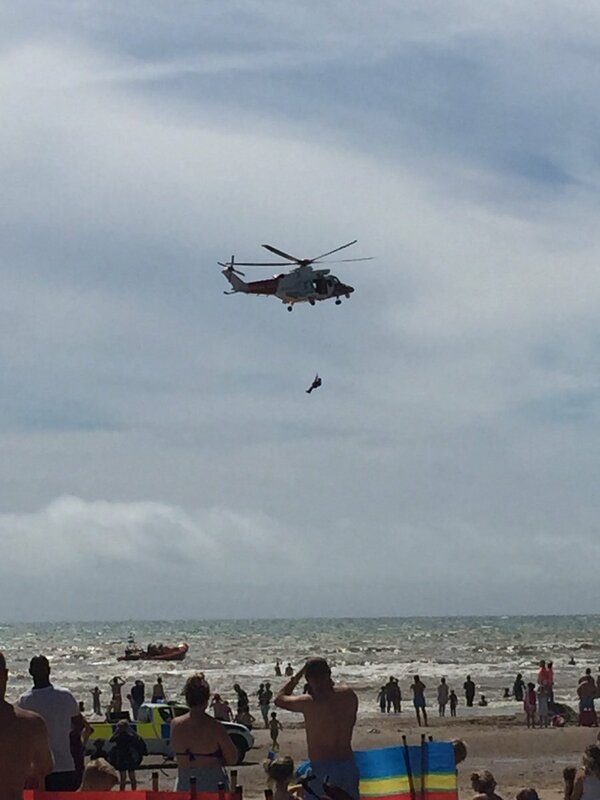 More than 30 schoolchildren have been rescued by helicopter and lifeboats from a Kent beach after becoming trapped by the rising tide. The hiking party - which included two adults - were plucked to safety after straying from a coastal path between Dover Harbour and St Margaret's Bay. The youngsters used mobile phones as distress beacons. Two hours later they would have been swimming for their lives. In her report Sarah Saunders spoke to Matt Ivatt of the Dover coastguard, Billy Hollis of the Dover RNLI and resident Jean Smith. Video footage and still provided by @kernowsailing and Stuart Brock Photography. A 10 month old baby was pulled from his car seat moments before the vehicle he was in caught alight. A cute, injured seal took itself to an RNLI launch ramp to alert people that it was hurt and in need of rescue. The mammal was spotted losing blood at Sovereign Harbour in Eastbourne yesterday and was rescued by the East Sussex Wildlife Rescue and Ambulance Service. A dog had to be rescued by a lifeboat crew after it swam out to sea and got into trouble.